Shopping online is in trend now. 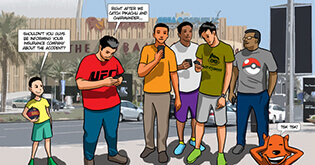 Be it clothes, shoes or even insurance, all have taken up the market like never before. Here, we give you’ll an in-sight on buying two-wheeler insurance online. Having a vehicle is not only a style statement but is also a big responsibility. 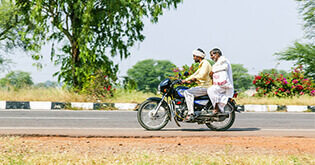 Two-wheelers insurance should be bought not just because it is a compulsion, but to protect against the risk caused by the natural and man-made disasters. 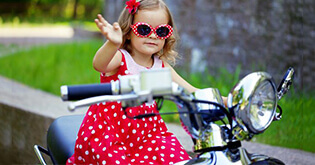 A two-wheeler insurance is important for your own safety and that of others. It is easy to get two-wheeler insurance online and secure your bike within minutes. Here is s step-by-step procedure of buying two-wheeler insurance online. Why should you buy a two-wheeler insurance policy? Apart from the fact that motor insurance is mandatory, it is also crucial to understand that two-wheeler coverage is also the need of an hour for a couple of reasons. However, one of the prime motives for you to have bike insurance is to protect yourself from the own damage and third-party damage. Today, everything is available online; however, it is recommended to explore the market first. Whenever you go shopping, you search multiple options and seek to choose the best. Thus, before jumping on to buy two-wheeler insurance online, prepare yourself with basic knowledge about the two-wheeler insurance. Familiarise yourself with different terms used in vehicle insurance. Research about terms like IDV (Insured Declared Value), NCB (No Claim Bonus), Third-party liability, etc. There are nearly thirty insurance companies who offer non-life insurance products. Selecting the right insurance company is as crucial as buying the right insurance policy. An ideal two-wheeler insurance provider should offer top-notch pre-sales as well as after-sales service. The claim settlement process should be as short and smooth as possible. Additionally, go to the company website and look for customer reviews. The company must have a customer grievance cell to look after the complaints on an immediate basis. Choose the company only if you are satisfied with these basic criteria while buying insurance from them. To select the type of two-wheeler insurance online, go to the two-wheeler insurance page and fill up the details about your bike. Next, select the type of two-wheeler insurance you want to buy. Third-party cover: This insurance is mandatory in India and covers only the liability arising from third-party damage. Comprehensive cover: This policy is optional. It also includes the own-damage in addition to the third-party coverage. Once you finalise the insurance policy for the bike, the next thing you have to make is to set the IDV of your vehicle. IDV is nothing but the current value of your vehicle. IDV decreases with time. It is calculated as the cost of vehicle minus the depreciation on its parts. 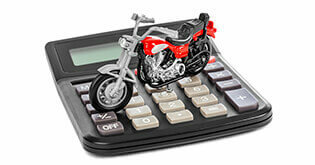 Also, the cost of registration of the bike and its insurance premiums are excluded from the IDV. Add-on, also known as rider, is a coverage that can be included in your bike insurance policy by paying slightly a higher premium. However, the add-ons could be added to the comprehensive policy only. You cannot add a rider to the third-party insurance. You can increase the coverage of a comprehensive bike insurance policy by adding a suitable rider to it. 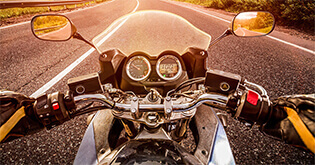 Zero depreciation and engine protector are the most-common riders that people add to their insurance policy to get the maximum coverage on the bike insurance. It does make sense to read the insurance related documents carefully. It can help you to avoid confusion when you need to file a claim. Following are the points to go through in the policy document. Enter the personal and vehicle-related information accurately. A minor mistake can cause the termination of the policy at the time of settlement. To avoid such hurdles, it is critical to enter and cross-verify all the details that you have mentioned while applying for two-wheeler insurance online. Check the summary of the information that you have mentioned and save a copy of the same. 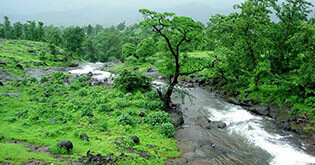 Payment is the final stage of buying two-wheeler insurance online. Once you make the payment successfully, the copy of your bike insurance policy will be sent to your registered email address. You can also download and print a copy of the policy for your reference. It is advisable to keep a copy of your vehicle’s insurance policy with you whenever you are riding the bike. If a police officer demand to see the insurance papers, it has to be available with you in a printed form. The moment you are done with making the payment for your two-wheeler insurance online, the procedure is completed. If you already have insurance for your bike and are looking for renewing the same, remember, you do not get any grace period to renew the bike insurance. In the case of two-wheeler insurance, you need to renew the policy the same day or before the expiry of the policy. If you delay doing so, even for a day, the insurance company may inspect the vehicle before issuing the insurance policy. Bike insurance should not be seen as an expense, as this can save you from a substantial financial loss at the time of an accident and third-party damage. Rather than contacting the policy agent and visiting physically, why to not save some time and money? It is convenient to buy the insurance policy for your vehicle at home or office with a few clicks. This coverage can be purchased in a few minutes with the help of two-wheeler insurance online. It is advisable to invest a couple of minutes in buying or renewing your bike insurance online.